Held in conjunction with a solo exhibit of eastern inspired contemporary Mandalas and new children's book illustrations by artist Kristi Bridgeman, illustrator of The Rainbow Rocket, the Asian Canadian Writers' Workshop and explorASIAN were on hand to help with the launch, reception, reading, signing on Sunday May 5th at the Dr. Sun Yat-Sen Classical Chinese Garden at 578 Carrall Street, Vancouver. 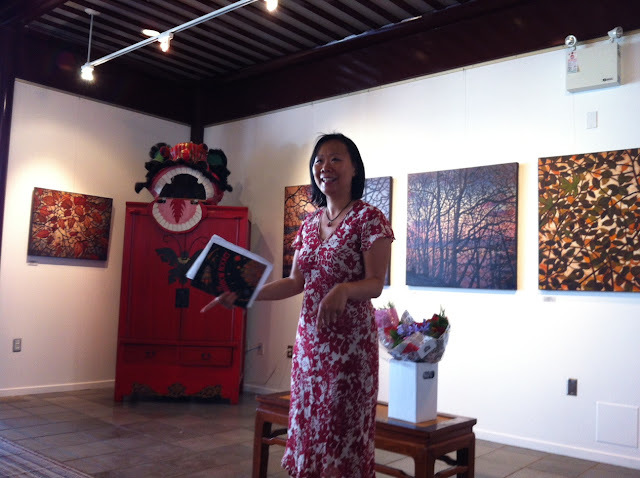 The audience filled with families and children were treated to a memorable reading by Loretta Seto (Mooncakes) and Fiona Tinwei Lam (The Rainbow Rocket). 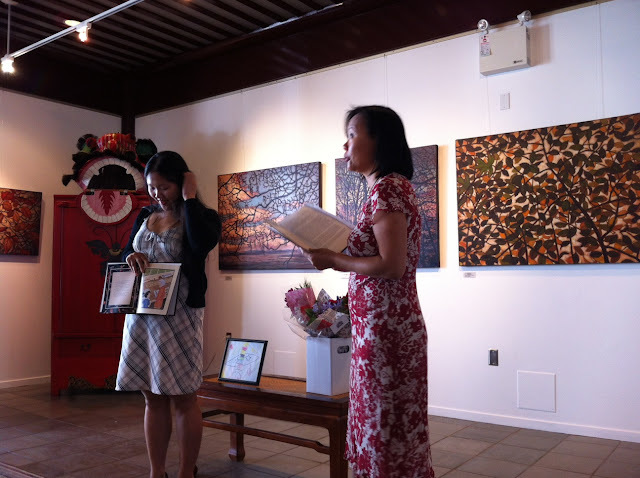 Both Loretta and Fiona have been published in Ricepaper Magazine as well as the Asian Canadian anthology Strike the Wok.